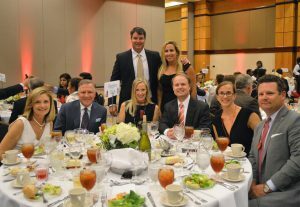 The 14th Annual Heart of the House Gala presented by McDonald’s was a night of fun, excitement, and Healing Together at the Sheraton in Downtown Birmingham. With more than 340 guests in attendance, this year was our best year yet! A silent auction kicked the night off, where guests were able to bid using their mobile devices. Everything from local art, to getaways and gorgeous jewelry awaited the highest bidders as guests arrived and mingled over hors d’oeuvres and drinks. Over 100 auction items brought in more than $22,000 toward our annual budget. The night continued with dinner, drinks, games and entertainment in the ballroom. Art Franklin of Birmingham’s WIAT served as our emcee, while Christie King of C King Benefit Auctions led the crowd in games of chance and a live auction. Packages that included once in a lifetime football experiences, luxurious trips, and fabulous jewelry and accessories were all a part of the live auction. 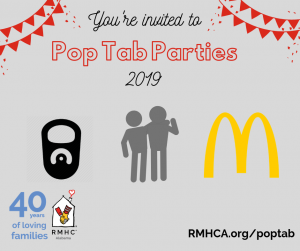 Over $80,000 was raised as a result of lively bidding battles and outstanding donors — these funds will help keep families close at RMHCA. 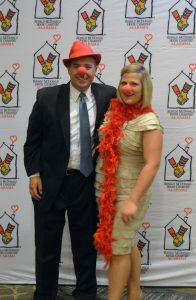 Finally, the Mitchell family was featured as our 2016 Heart of the House Gala Family during a special presentation that highlighted their time at the Ronald McDonald House. During Corey’s battle with PNET Ewings Sarcoma, the Mitchell family called the Ronald McDonald House their home away from home 22 times. Corey, Chandler, Caroline, Chrissy and Jason were all a part of the night’s events as they shared their story and gratitude. All proceeds from the Heart of the House Gala go directly to our operating budget to ensure we are able to continue helping families like the Mitchell family. With the help of our generous in-kind donors, sponsors, guests, and volunteers, this was the most successful gala to date. We are incredibly grateful for all of the incredible support we received and look forward to seeing you at our 2017 Heart of the House Gala! Stay tuned for more details on that event.